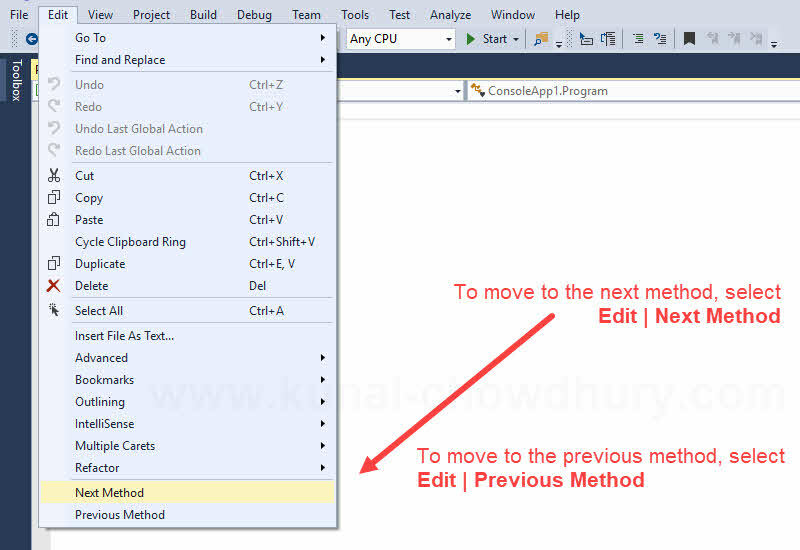 Do you know that, you can quickly move between methods in Visual Studio using the Next Method and Previous Method navigational menus? This feature enables you to improve your productivity during development. 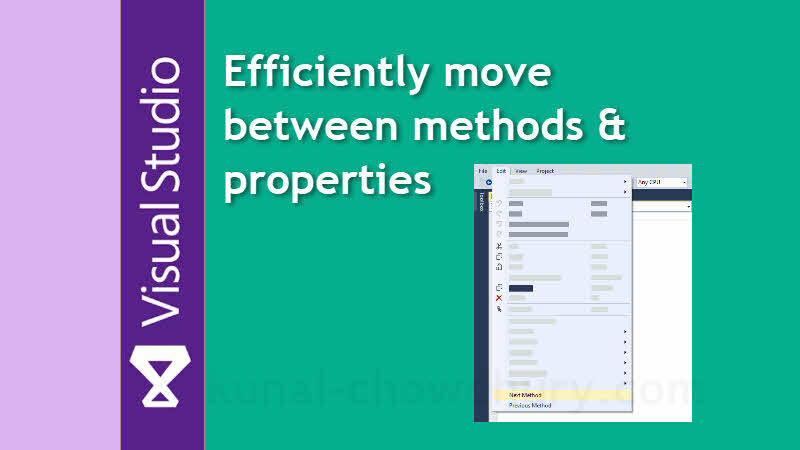 In this part of my Visual Studio Productivity Tips series, we will learn how easy it is to move back and forth through methods inside a code file. When you are in a code file inside Visual Studio, you will find two menu items named Next Method and Previous Method under the Edit menu. This allows you to navigate faster inside Visual Studio. To move to the next method, select Edit | Next Method. When you want to move to the previous method, select Edit | Previous Method. This will help you to jump back and forth through the methods. I hope that the post was useful and will help you to faster navigate between methods while writing/debugging code inside Visual Studio. Don't forget to share this with your friends and help them to navigate codes faster. If you have come this far, it means that you liked what you are reading (Visual Studio Productivity Tips: Move between methods and properties efficiently).